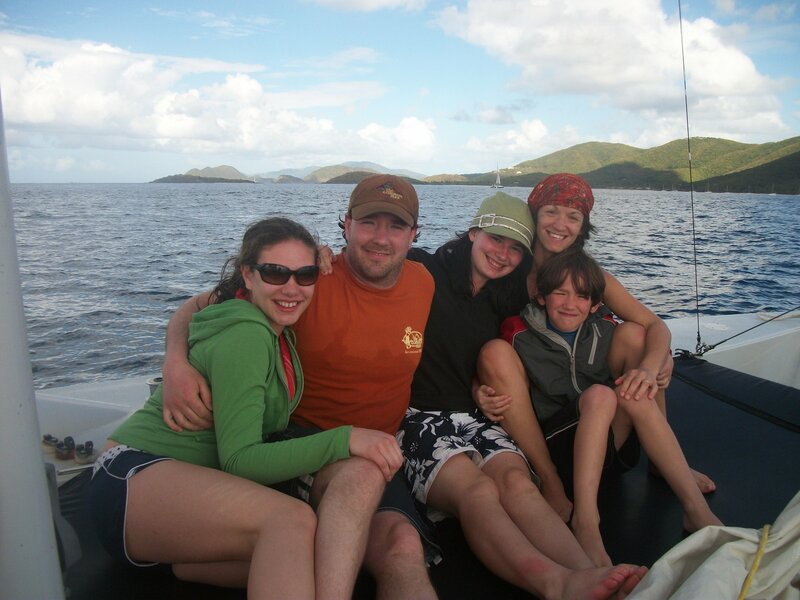 The family enjoying the Virgin Islands. I’m often asked how we can afford to take such “extravagant” trips. And I can see where, from a bystander’s viewpoint, 3 weeks touring the Northwest, 3 weeks in Europe, ski trips to Canada, and spring vacations to the Caribbean may seem “extravagant.” We have some good secrets though. First, let me say this, before I am accused of being out of touch: I spent my childhood living in poverty. No running water, cardboard on the walls, cars repossessed in the middle of the night. I raised a daughter as a single mother, waiting tables, living off from food stamps and income-subsidized housing while I took classes. I know that this post is not intended for everybody. 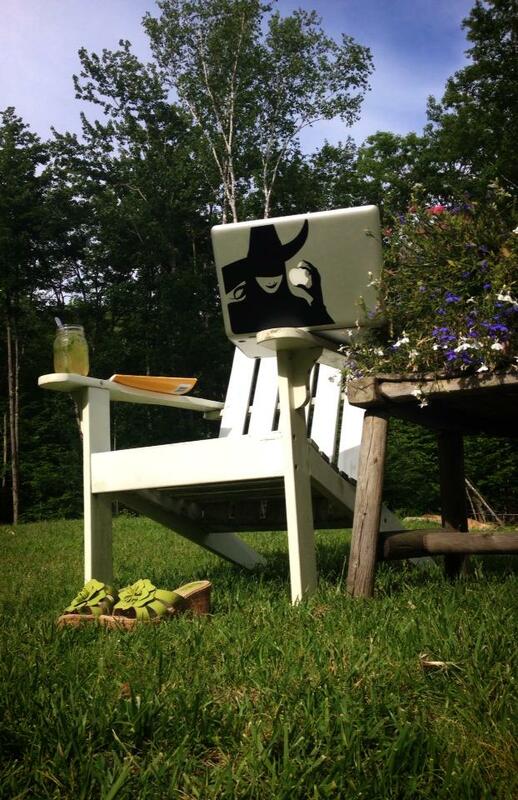 I know that there are situations that simply do not allow for vacation days, let alone vacations. I know that medical conditions can interfere with dreams. But extenuating circumstances aside, there are ways that travel can be made affordable. Our gardens with our new greenhouse project underway. Most of our meals are vegetarian and entirely homemade. We do not eat out, we rarely eat processed foods, and we do not stop for coffee or fast food, ever. We attempt to grow as much of our food as possible–eggs from our chickens and vegetables in the garden that we can freeze for the winter. We have yet to get to the point where we can fully sustain ourselves, but every year we get a little closer. Next year’s adventures will include a pig, some roasting chickens, turkeys, and with any luck, bees. 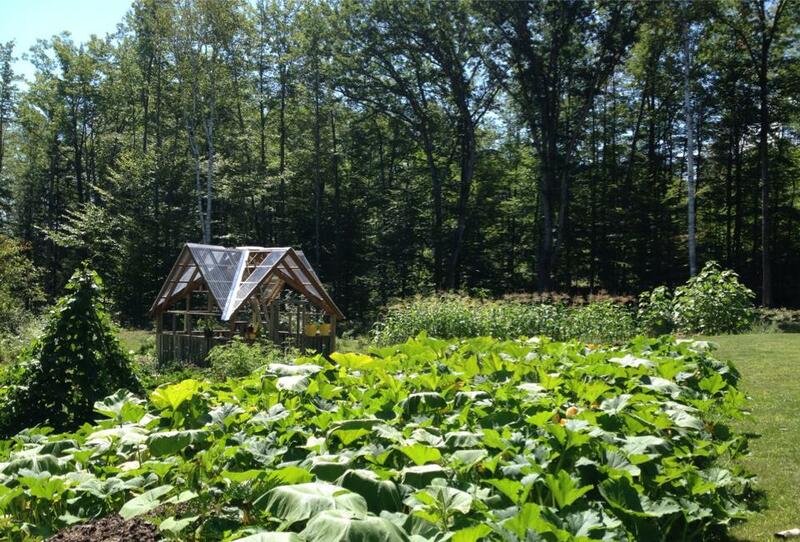 We designed & built a house that is passive solar, with large windows facing south, on 12 wooded acres on which we can gather all of our own firewood. 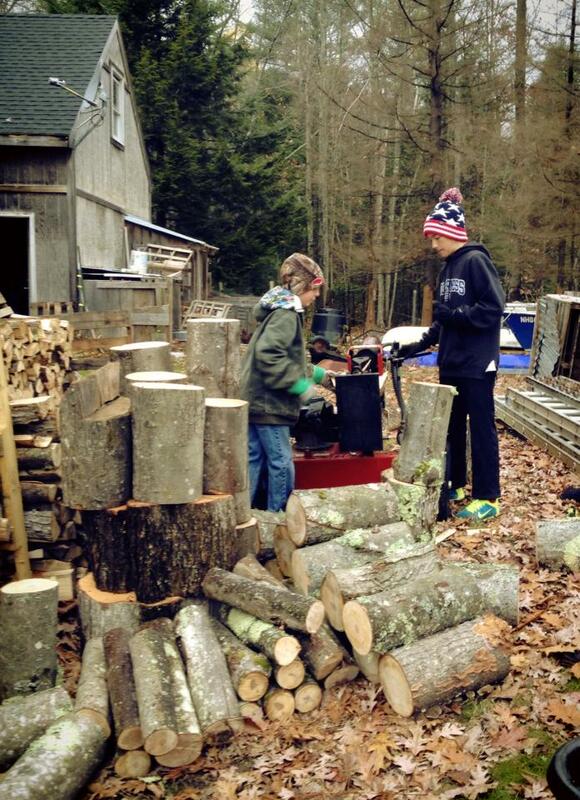 Our 2300 square foot, 5 bedroom house runs an electricity bill of $70 a month and uses only one tank of oil every year, thanks to our wood stove which, since we are able to cut down our own firewood, heats the entire house for most of the year for free. We’re hoping in the next couple of years to add solar-panels, cutting our dependency on oil for hot water to almost nothing. It’s not always pretty, but we make sure we get places! 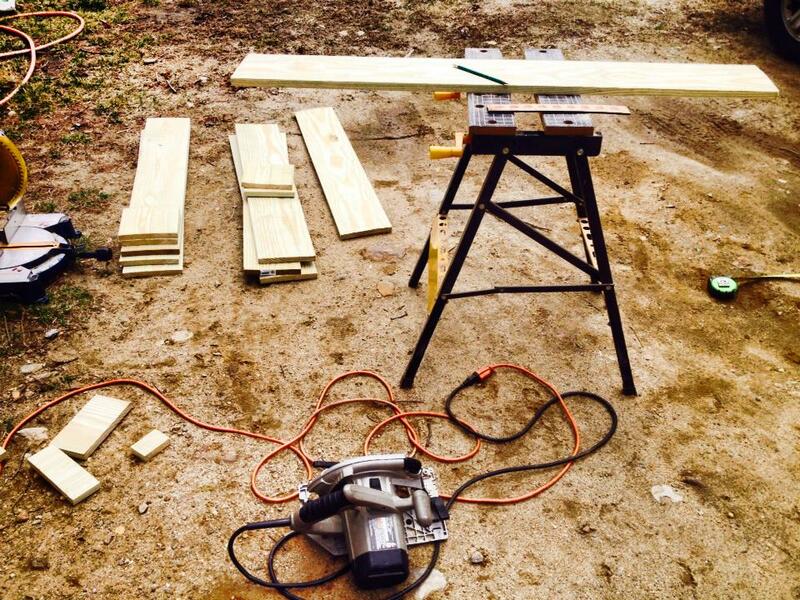 It doesn’t always look like hard work…but sometimes my second jobs overwhelm me. Most of our travel has always been funded by my second jobs. I have coached, mentored, led committees, hostessed, and written for extra income. I try to make it so that our regular income can cover all of our day to day costs and that our extra income can cover travel. I work hard, a lot of the time on stuff that people don’t see. Thrift stores are our friends. Most of my clothing comes from second hand shops. My kids grew up wearing sweatshirts we found in the school lost and found on the last day of school before they were shipped off to Good Will. My kids grew up wearing a lot of sweatshirts we actually purchased at Good Will. Last weekend I attended a wedding wearing a gorgeous black Anne Taylor dress that I purchased for $15. My daughter went to her proms in $40 dresses. I spoke at TED wearing $12 leather boots I picked up at a thrift store in Ithaca. I love clothes, but I refuse to spend a lot of money on them. 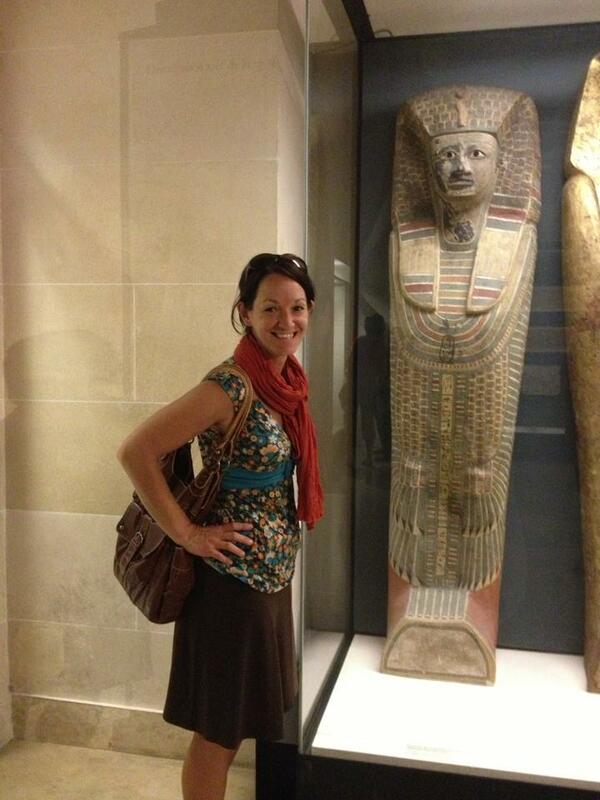 Visiting the Louvre in my thrift store goods. We just don’t, really. We go shopping when we have to–when we need something. When my daughter was 12 and needed glasses, we spent a couple of hours at the mall, walking around while LensCrafters suited her up. After twenty minutes, she turned to me and said, “Oh my god. My friends talk about coming here on the weekends. Thank you for never bringing me. This is terrible.” Shopping for us is a necessity, not a form of entertainment. 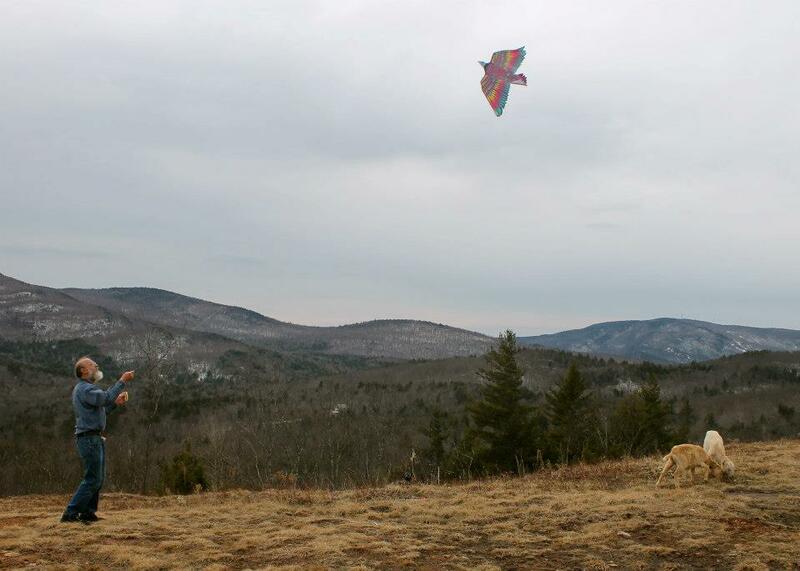 Sunday afternoon entertainment: hiking behind our house to fly kites with Grampa & the goats. There’s no cable here. Our basement is full of games–a foosball table, an air hockey table, and a ping pong table, all of which we paid an entire $40 for off Craigslist. We rarely go to the movies or eat out. My son owns a PS2 system he paid $10 for at a yard sale with his own money he earned lawnmowing. For entertainment, we head to the mountains for hiking, go camping, sit by a homemade fire pit outside, or watch four-year-old TV episodes that we can purchase for cheap. Permanent set design at our DIY house. We built our house ourselves, for the most part, and certainly would never have been able to afford it if we had hired someone to do it. We have gorgeous tin ceilings that we got at a salvage shop. Bead board walls that we purchased at a yard sale. A brick hearth built by us, using used bricks that we had to scrub mortar off. Our bathroom sink is my daughter’s old desk, repurposed. Our beautiful message center is my childhood dresser, again repurposed. We own no new furniture. The house is not finished yet. We piece it together as the right materials come along at the right price. Hiking Icelandic waterfalls–not everybody gets to be here. Our lifestyle of lugging wood, manure, and rocks keeps us pretty fit, but we also make it a point to hike, walk, run, and kayak. Staying fit helps us travel smartly. We can be on our feet, immersed in a society, seeing more in a day than our unfit counterparts. 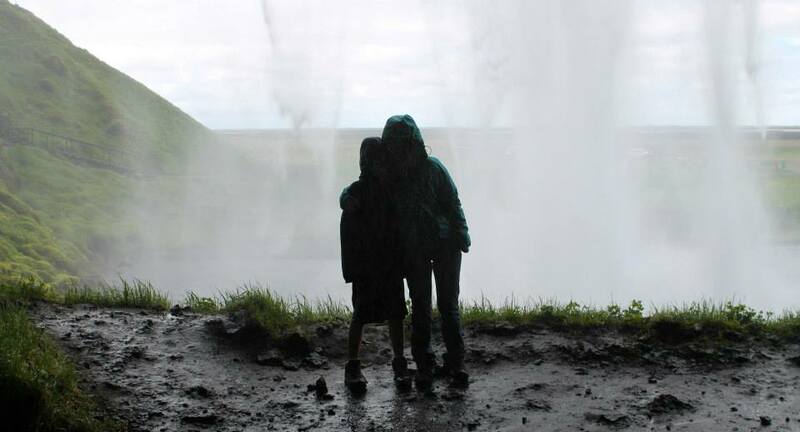 The year we left for Iceland, I had a hip issue that flared up weeks before our departure and was in tears. Everything we intended to do was at risk, and we couldn’t afford the alternatives which included paying other people to bring us places. 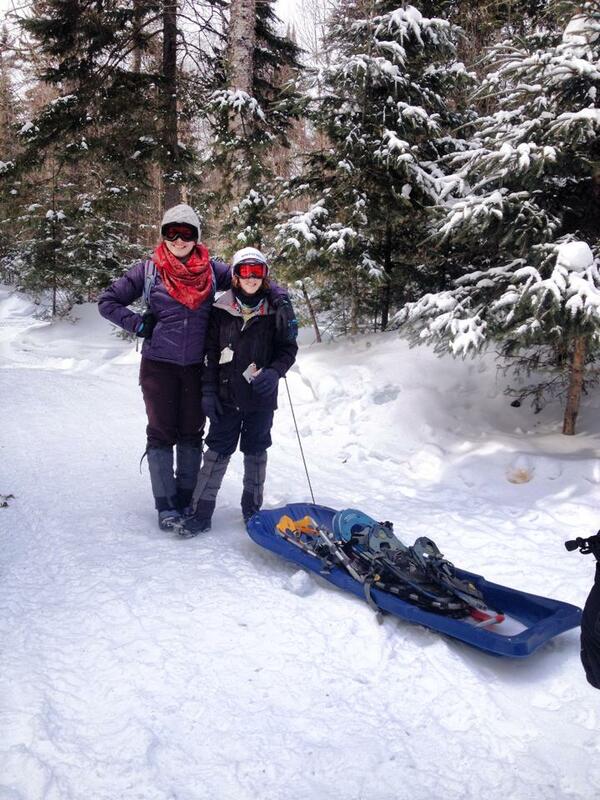 Our kids, headed out for a hike from our Canadian yurt in negative zero weather. Fortunately the issue was fixed before take off! Our best adventures have been on our own two feet, deeply immersed in a culture: from walking out to an odd warm-spring off the highway in Montana where we could jump off a cliff with the locals to paddling to a series of beaches on St. John to kayaking with whales in Quebec to summiting the high peaks of the Rockies to hiking waterfalls in Iceland, being fit has paid off. 10. Buy your tickets at the right time for the right time. We start looking as soon as we can, but know that 6-8 weeks beforehand is when the prices are the best. Tickets are cheaper when traveling on a Tuesday or Wednesday. Those are also the best days to shop. We use Kayak.com usually, but have found that to get to Europe, IcelandAir often has the best prices. We sign up for instant alerts for price drops and monitor closely. Waking up to buffalo herds and sunrise over the Tetons not only proved to be significantly more affordable, but more beautiful, too. Ninety percent of the time we stay in apartments or flats when we travel. They are usually more authentic to the area than a hotel, they allow for cooking and the storage of food, and oftentimes provide laundry services. Our beautiful little 2-bedroom, full-kitchen, balconied Montmartre flat in Paris cost $1000 for a week’s stay in July’s high season, whereas comparable hotels in that area were running $250-$300 per night. We use Airbnb and VRBO.com to look for our apartments. The people who rent these are often incredibly helpful, as well. We are not afraid to try new places–in Washington state four of us piled into a teeny room in a small bed and breakfast for $40 a night, sharing a bathroom with the other lodgers and eating instant oatmeal for breakfast in the bizarre little living room filled with dead animal heads. In Canada, we opted out of the ski resort hotels and spent some time in a yurt, where we had to haul our stuff in by sled. 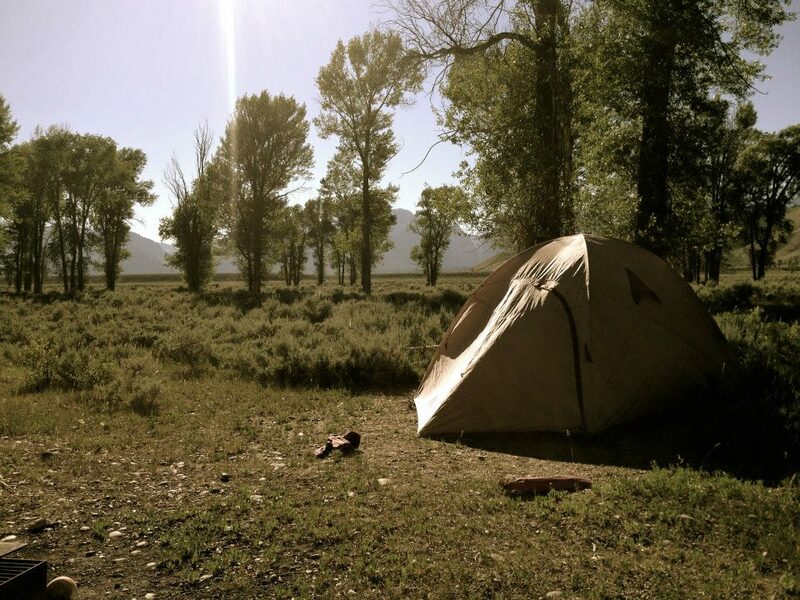 In the Grand Tetons, we found that the lodging options of over $300 a night would bankrupt our budget, and so four of us were able to rent a tent, sleeping bags, and camping chairs for two nights for $70 total. The experience was so much better than a hotel, that this past summer when my son and I headed for Rocky Mountain National Park, we did the same. When a hotel is necessary, we often use Priceline as an auction site. We have gotten gorgeous, $350, 4-star, Chicago & Seattle hotel rooms for less than $100, but we try, as much as possible, to avoid hotels. 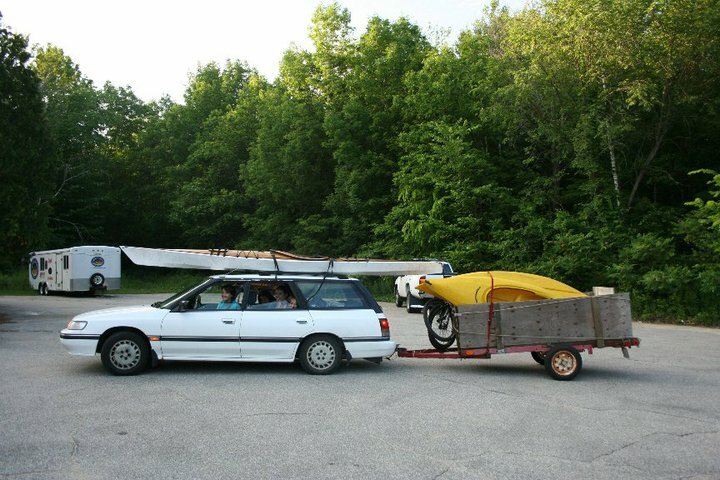 They rarely prove to be the most efficient way to travel. 12. Live like the locals. Eat what and where they eat. Travel how they travel. Stay where they stay. We don’t get romanced by tourist packages–no bus tours, no vacation packages. 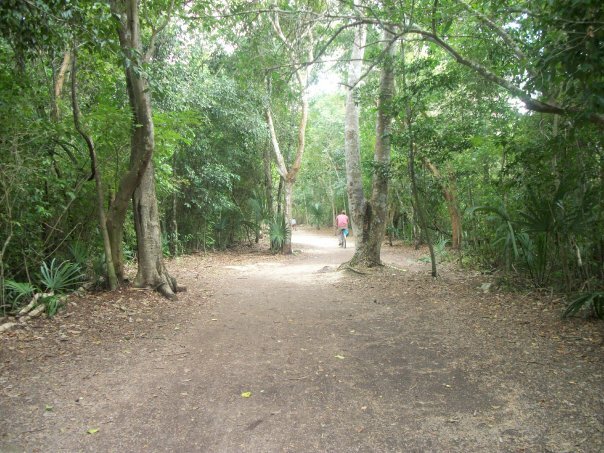 When spending ten days in the Yucatan, we traveled solely by public transportation. We experienced military bus searches and our son fell asleep in the lap of a Mexican grandmother who didn’t speak English. While mobs of people were taking bus tours to Chichen Itza, we took a taxi (the only way to get there) to Ek Balaam, which was gorgeous and wildly undervisited. We took a second class bus to Coba and rented rusty bikes for $5 to explore the vast ruins. From there we hired a private driver to take us into the jungle to a monkey conservatory where we got a private tour for next to nothing. These were small trips that were a fraction of the price of the group trips to more crowded areas offered. 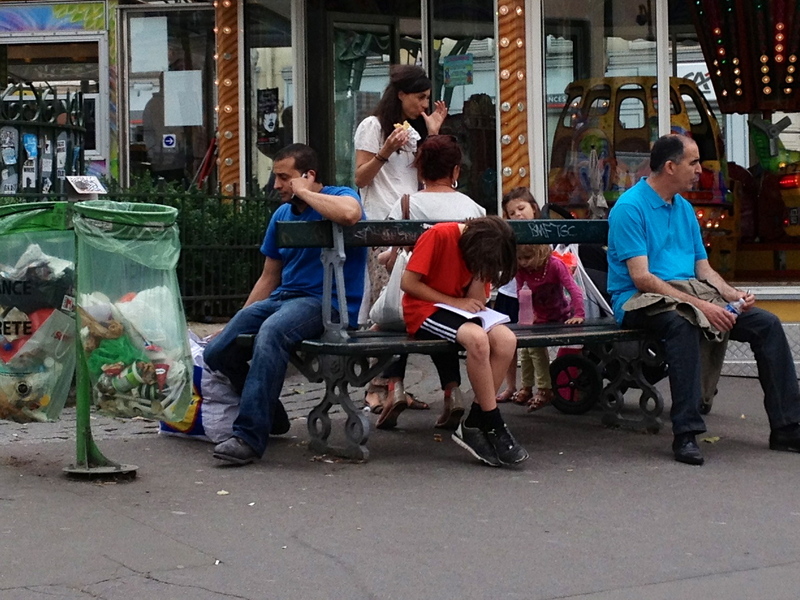 Our son reads a book on a park bench on Rue des Abesses in Paris, completely at home with his French comrades. I invest hours of research into every trip we take, digging deeper and deeper, until we find the most amazing experiences at the most affordable prices. This may be the most important thing I do in regards to traveling. My Spanish is terrible, he had no English, but Cuban music speaks to everybody. You can’t be afraid of other people’s culture. We have backpacked through small, German towns. Biked through Amsterdam. Bought unknown food in rural Mexican restaurants. Walked Cuban neighborhoods. Visited Parisian churches at midnight. Driven dangerous, curving Caribbean roads. Taken trains, buses, cabs, and long walks through unknown places. Speak the language when you can, apologize when you can’t, and respect what is there. Be safe, always, but trust in humanity, and don’t judge what that humanity may look like elsewhere. We have been warned about the sleazy Mexican, the rude Parisian, and the aloof German, but we have yet to meet them. There are good people all over this world. I loved this post! Challenged me in many ways, and also showed me a personal side of your lifestyle. Thanks for writing it! Ditto and bravo ! Nothing like being lost in Paris for three hours trying to negotiate the subway to “home base” without a map, only to get there and get stuck in the lift for four hours. Thank goodness for the French Foreign Legion as I now call them, firefighters.